There’s a pattern to how the products decrease: 1 less, 4 less, 9 less, 16 less. This is a pattern of square numbers. How odd! I wonder… is this the case for this example only? Or would it work for any example where the sequence starts from a square number? So the exploration continues, and we see that the pattern is repeated (e.g. 10×10=100, 11×9=99, 12×8=96, 13×7=91). Eventually, I would challenge the children to use this knowledge to perform calculations. 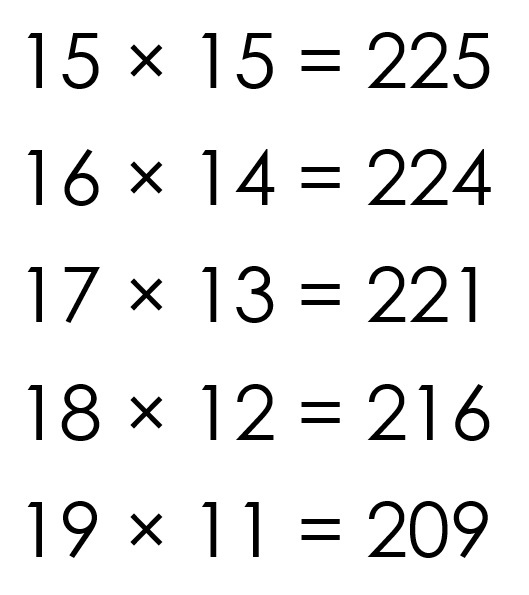 For example, consider 23×17. We know 20×20=400, so it follows that 23×17=391 (9 less than 400). A beautiful pattern to explore! My philosophy has always been simple: be firmly rooted in educational research; find ways to apply evidence-based principles in the classroom; share the ideas that work best with other teachers. 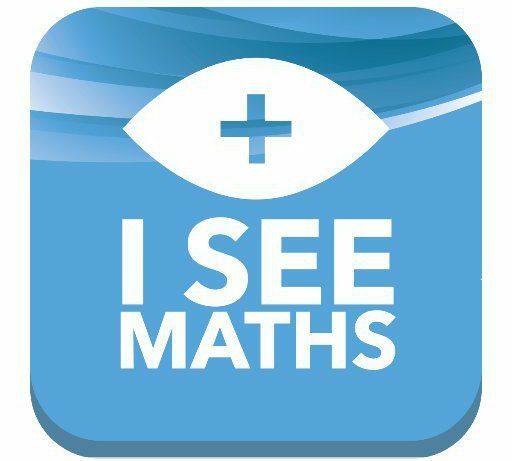 This approach led to me write the I See Reasoning eBooks, and it has driven the creation of my next resource, I See Problem-Solving UKS2. 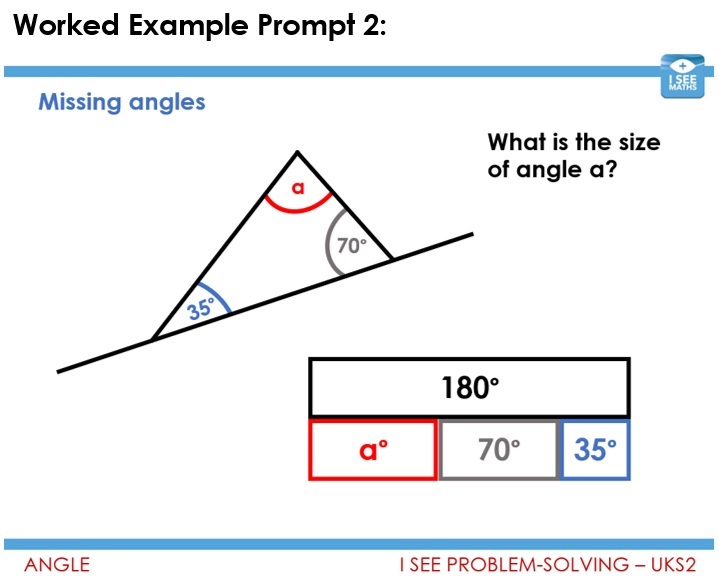 My belief is that I See Problem-Solving UKS2 will help us to explicitly teach problem-solving skills, helping all children understand the mathematical structure of each question. The resource will unpick a wide range of multi-step problems from right across the UKS2 maths curriculum. The mathematical structure of the problem is shown step-by-step and very visually by the ‘worked example’. This will be made available as a PDF or as a PowerPoint file. 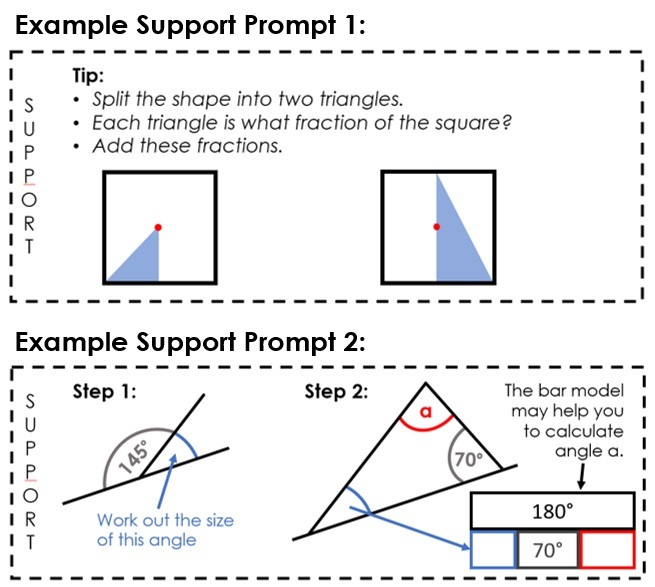 The worked examples can be displayed like ‘flip books’, showing each stage of the problem. Click here to see the worked example for this task – click through the pages rather than scrolling up and down for maximum effect! I See Problem-Solving UKS2 is currently in production. It is being trialled by a large team of teachers who are sending me feedback on how the tasks can be improved. To join the team, register here. I’m writing the resource over the 2018 summer holidays, will trial a few tasks in early September then I will aim for a September release – watch this space! In this final blog in the ’embedding reasoning’ series, I am sharing some of my favourite strategies for deepening learning. I love the back end of a sequence of lessons, where you can build on children’s growing understanding. Rich conversations emerge and children can apply their skills with increasing flexibility. Nowadays, there is an increased emphasis on looking for the different ways children might find an answer. I think this is great, assuming we have given children enough tools to find different strategies (and discern the most efficient). Initially I often provide some scaffolds to point children towards different methods (see below-left). I also love ‘rank by difficulty’ as a tool for generating discussion. It helps to draw out the different ways children approach questions and focuses their conversations on key learning points. To deepen learning, I’m always thinking about ways of stripping back the information that is given within a question. I can always put extra information back in where needed (or specifically requested), but by starting with less I can often have a more open dialogue. 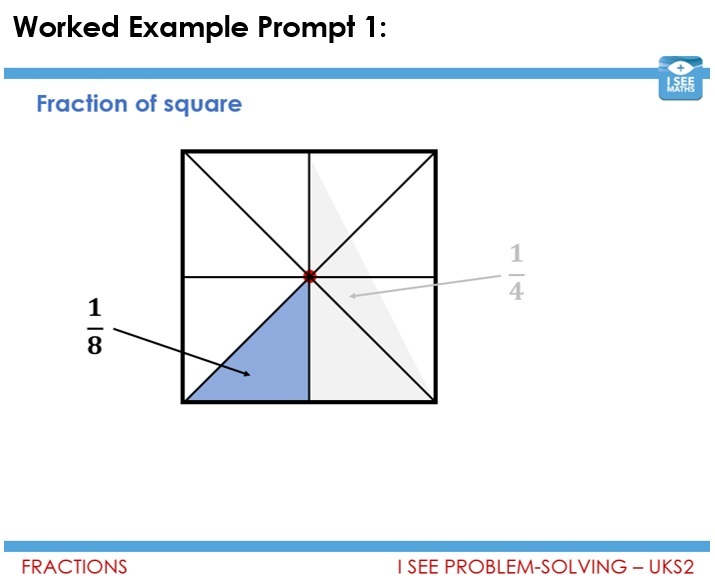 Consider the below-right example: I can always add in the squares to the 100-square, or other numbers. But by starting with less information I have a more open discussion about the possible values in the red boxes. Finally, I love using ‘how many ways?’ as my final question type. Children can access a how many ways task at level 1 (I can find a way) or level 2 (I can find different ways), but the step to be working at level 3 (I know how many ways there are) creates a different kind of challenge. We may have to model how to order thinking systematically as children strive to find all possible answers. Previously taught calculation skills are becoming automated and rich opportunities for reasoning emerge. Also check out the other blogs from the series. This blog post, the next in the ‘promoting reasoning’ series, features question types that help children to build on their current knowledge and notice important similarities and differences between questions. 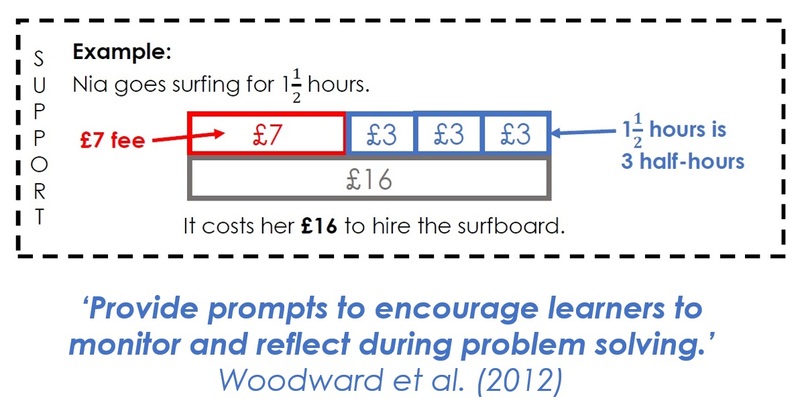 I’m always looking for ways to promote non-counting calculation (there are overlaps here with my ‘visuals’ blog). Prompts like the below-left example helps children to make connections between doubles and near-doubles facts. Children can edit the image to help them see those relationships. Similarly, I love using ‘I know… so…’ question strings. In the below-right example, I hope children will either perform the calculation using the related fact, or they will see the relationship between the three questions. The examples below probably fit the criteria of ‘variation’ more tightly. Specifically, by keeping all but one aspect of a question/image the same, children’s attention is drawn to the key difference. Consider the below-right example: the left hand image the dominant idea is likely to be ‘one circle’; the right hand image emphasises ‘four quarters’ more. Used together, children’s attention is drawn to four quarters being the same as one whole. When using the ‘I know… so…’ prompt, I might adjust the amount of variation between the examples depending on where children are up to in their learning. That’s all about knowing your children, the magic ingredient that every great teacher has up their sleeve! This is the second blog post in a series looking at building reasoning within the maths curriculum. Here I’m looking at the using visuals in maths questions. I’m always thinking about the best way to represent maths concepts practically to build understanding. The visual questions I use, therefore, are designed to correspond with the practical/visual models I have already used. 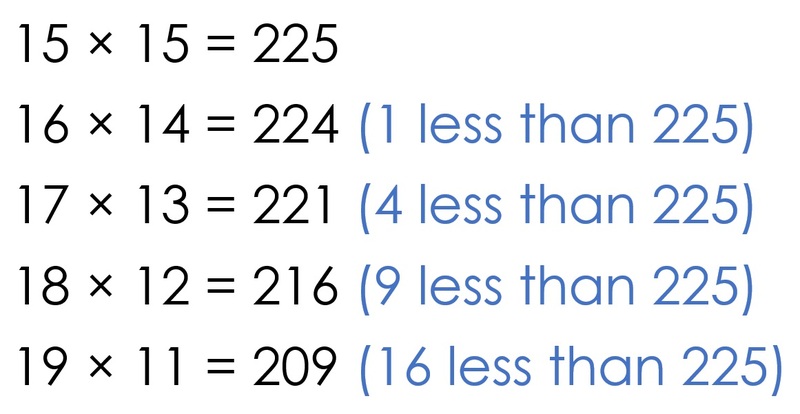 The below-left example is one way that I represent the concept of ‘= means the same as’. The below-right example is a prompt that can be used to launch a practical investigation using matchsticks, developing the thought process of ‘how many [divisor] in [dividend]’ as children learn to do division by grouping. By using questions that correspond directly with children’s practical experiences, the transition between concrete/pictorial to abstract is smoother. I might also use the visual to address common misconceptions (below-right example). 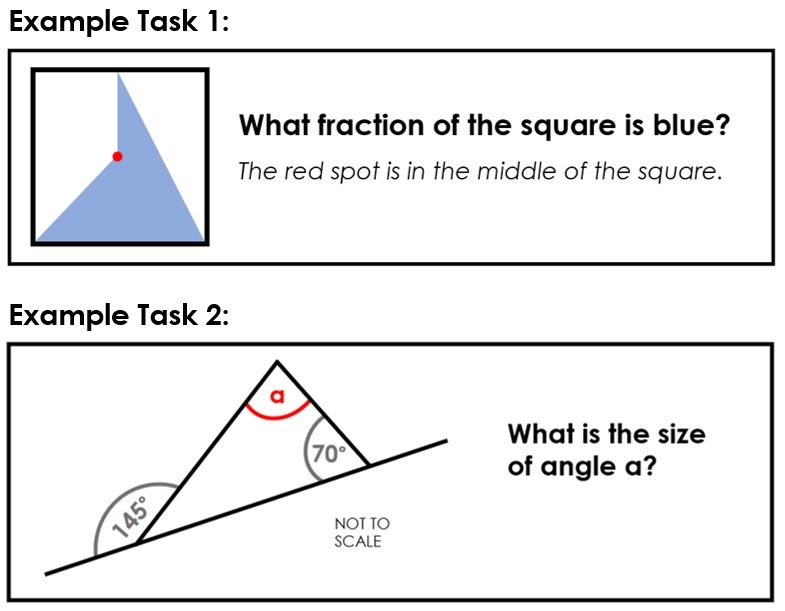 Below are two of my favourite types of visual reps questions to generate discussion. I like using ‘which picture’, where children have to consider which bar model represents a question correctly, and which bar model is showing a common error. Can children explain the mistake? I also love open-ended visuals: the bottom-right example is a particular favourite. More similar examples on this theme on the next blog!